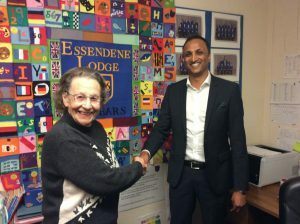 Welcome to Essendene Lodge School. We are a small, established, family owned and family friendly school in the heart of Caterham. Our aim is to ensure that children are happy, successful and motivated learners. Our purpose is to provide educational excellence coupled with high expectation so that all can reach their potential. We pride ourselves on the happy, safe and caring learning atmosphere so that boys and girls can really enjoy school. We offer our pupils a wide range of activities and opportunities designed to promote excellence, success, confidence and self-esteem; these include music, drama, sports and languages. We combine tradition with technology as all classes are installed with interactive boards which are extensively used as a teaching and learning tool. A great deal of attention is paid to the teaching of traditional values such as kindness, good manners, team work and mutual respect. We are an inclusive school and our commitment to small class sizes means learning can be personalised to meet the needs of the individual. The teachers are fully qualified, committed and dedicated to ensure all children succeed in a happy learning environment. We have the highest expectations of ourselves enabling us to have the same high expectations of our children. This is the reason our pupils consistently achieve high results for entrance into local independent and Grammar Schools.